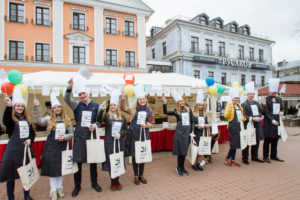 On 30 September Estonia-Russia CBC Programme together with Latvia-Russia CBC Programme celebrated European Cooperation Day in ancient border city Pskov, Russia. 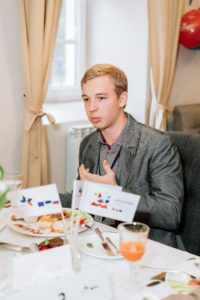 Celebrations started with Business Breakfast in “Rusakov” restaurant. 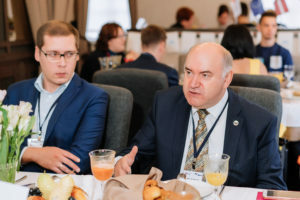 About 30 officials, experts, cross-border actors in business and students of Pskov State University and Academy of Tourism have met for common breakfast to discuss benefits and challenges of holding business in border region, cooperation with neighbouring countries. 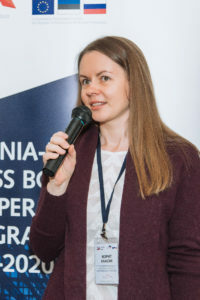 Business Breakfast started with greeting words from Consul Ms. 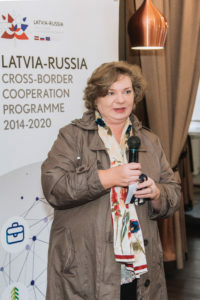 Merit Kaasik, Consulate of Pskov Chancellery of General Consulate of Estonia in St.Petersburg and Consul Ms. Evia Dumpe, Consulate of Latvian Republic in Pskov. 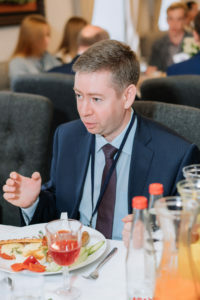 Head of the state Pskov Region committee for economic development and investment policy, Mr. Andrey Mikheev stressed the importance of cooperation of the Pskov Region with Estonia and Latvia. 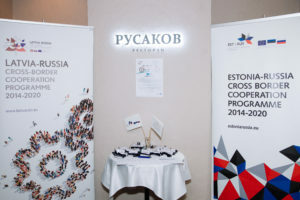 Ms Unda Ozolina, head of Joint Technical Secretariat of the Estonia-Russia Programme introduced the European Cooperation Day aim, this year slogan “To go far, go together” and wished everyone to have a fruitful discussion and tasty breakfast. 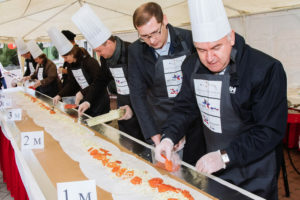 After a lively and enthusiastic polemic representatives of Estonia, Russia and Latvia under medieval walls of Kremlin on Zolotaya Naberezhnaya rolled up a 6-meter length Neighborhood Roll which symbolizes a long-term joint cooperation of the neighbouring countries with Pskov region, Russia. 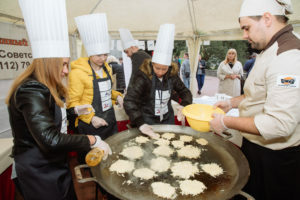 Followed by cross-border actors cooking, two teams of students competed in high-speed potato pancakes preparation. As a result of the energetic action cooperation and friendship won. 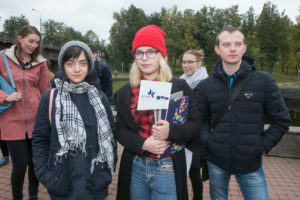 Reflection of ECDay in TV “Russia 1” and news. Please visit Gallery of the event. 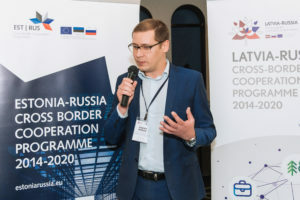 “Sharing borders, growing closer” is the motto for the European Cooperation Day which is celebrated every year on 21 September and surrounding days throughout Europe and beyond its external borders.